Ramakrishna Housing is a leading real estate and construction company with operations in Andhra Pradesh. The robust team consisting of Civil Engineers, Project Management experts and Marketing and Finance professionals create the synergy required to offer unmatched housing options and related services across the state of Andhra Pradesh. 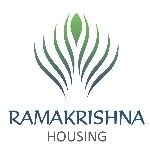 Ramakrishna Housing has earned a formidable reputation for delivering innovative solutions that go beyond plotting and enter the realm of integrated projects that incorporate high-end residential spaces with walk-to-work environments. Ramakrishna Venuzia is a residential commune that blends the finesse of global living with the essence of nature to swathe you in a golden glow of luxury, purity and abundance.